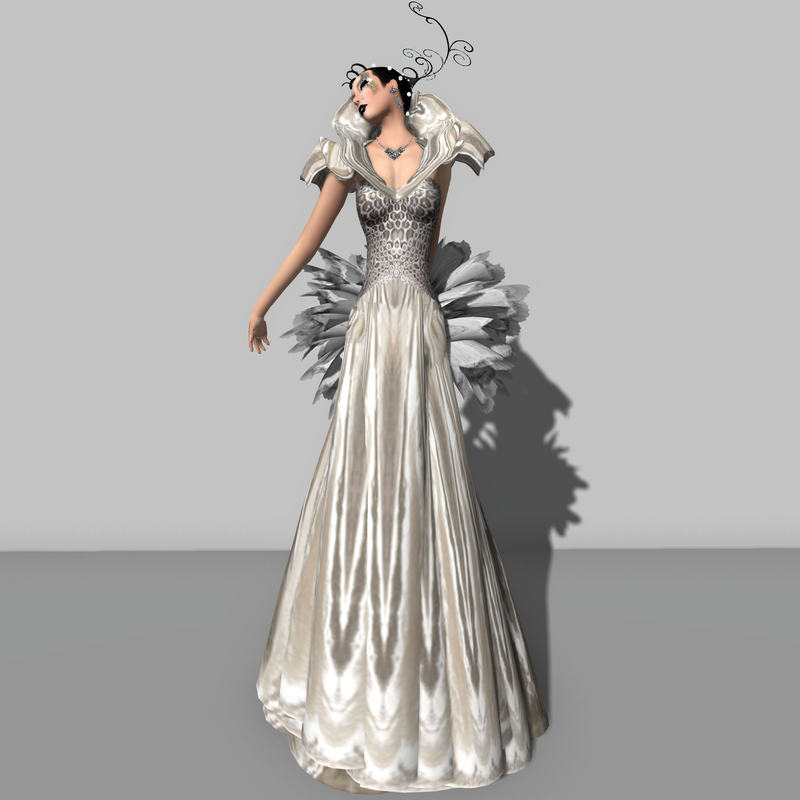 Mea Culpa introduces Chaos Theory, another amazing creation from this RL artist designer in SL. Gizza’s Dark Feather Series runs from I to IV and here I am introducing Dark Feather Series II. All four outfits in this series are very cool black outfits with feathers used as ornaments. Here, I wore it with a plain black leggings and ankle boots from sYs Design. sYs Design is well known for it’s cyber fashion items but non-cyber fashion can use a lot of what they have too. I also wore a new jewelry set released by Kunglers from it’s Kungler Extra brand, which is their jewelry line that is sold in another building from their clothes. The Kungler sisters are really pulling out some interesting jewelry pieces and if you are looking for some pieces with impact, this is definitely a place to check out.